Oh my god. I outdid myself on this one! Sometimes I am really impressed with what I can do in the kitchen. 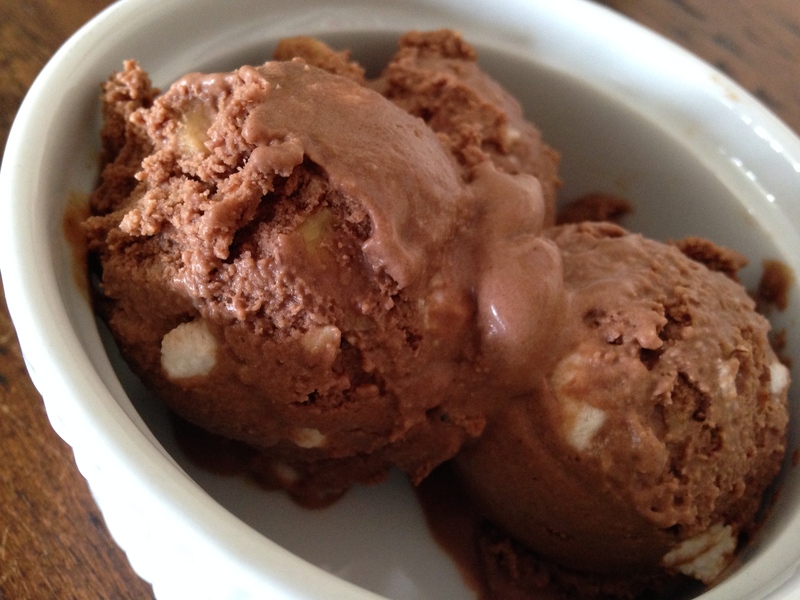 This is Baskin Robbin’s Rocky Road – the almond-marshmallow-chocolate combo – that was my sister’s favorite growing up. Making ice cream takes almost no work. Mix and pour. And like with everything else made at home, it is the purest and cleanest it can be. Why don’t you try it?? By the way, my sister says my Rocky Road is better than she remembers the original! Combine the coconut milk, sugar, cacao powder and vanilla extract. Refrigerator for at least 2 hours. 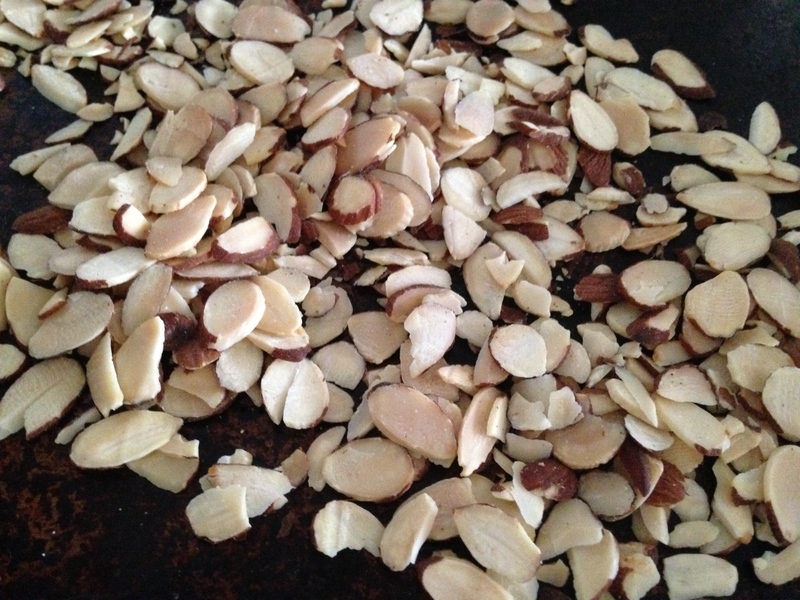 Toast the almonds on a baking sheet in a 300 oven for 20 minutes or until toasted. 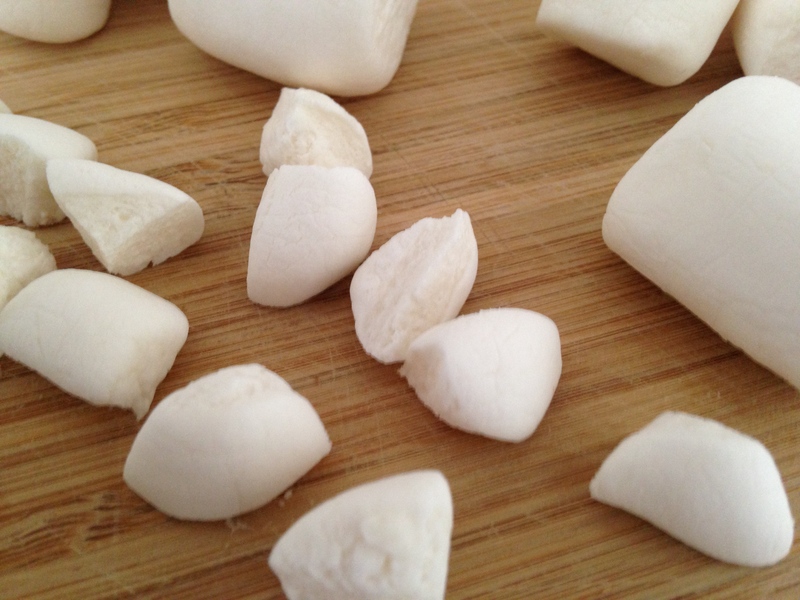 Cut the Dandies marshmallows into 8 pieces each. I didn’t really measure 1/2 cup exactly. I am sure I put a few extras in because they are the best part after all! Pour the coconut milk mixture into the ice cream maker and churn for 10 minutes. When combined, place into a freezer safe container and mix in the toasted almonds and marshmallows.